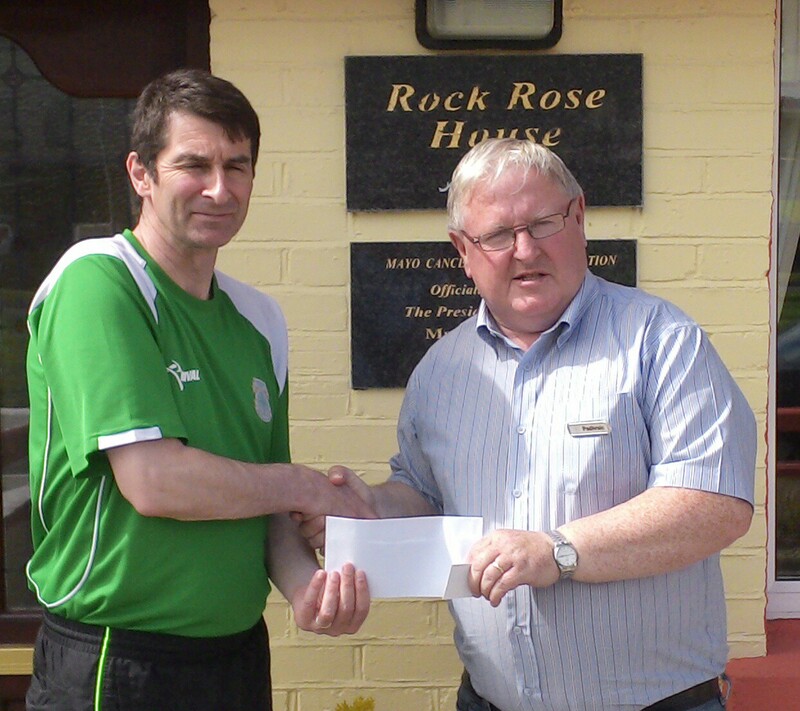 Castlebar Youths Football Club recently held some fund raising events from which a contribution was made to the Mayo Cancer Support Association, Rock Rose House, Castlebar. The fund raising consisted of the hosting of an Art Exhibition in the Connaught Inn, Spencer Street and a sponsored car wash at Castlebar Spa, Moneen Road, Castlebar. Thanks to all who attended and contributed to the events. A big thank you to Jarlath O’Hara from the Car Spa and Ultrafit studios for maki…ng the Car Spa car wash available. 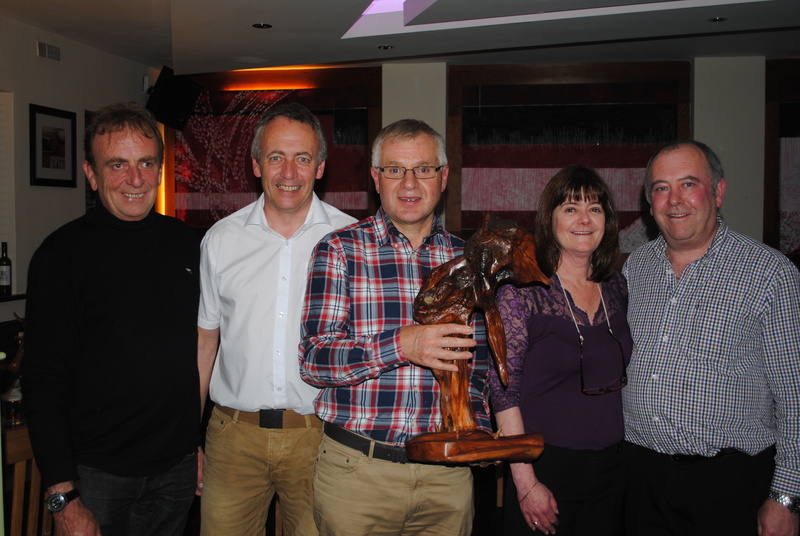 Also many thanks to Denis and Lee from the Connaught Inn for hosting an exhibition of the works of world renowned bog oak sculptor Liam Kelly. A lovely night was had by all those who attended. Liam donated one of his beautiful hand crafted pieces as a first prize in a raffle which was held on the night. Pictured is Noel Coll presenting a cheque to Padhraic Barrett of Mayo Cancer Support Association. And Liam Kelly, Achill Bog Sculptures, Denis McHugh, Castlebar Celtic, Eugene Connolly, Rock Rose House, Lee Walmsey, The Connaught Inn and Denis Kelly.